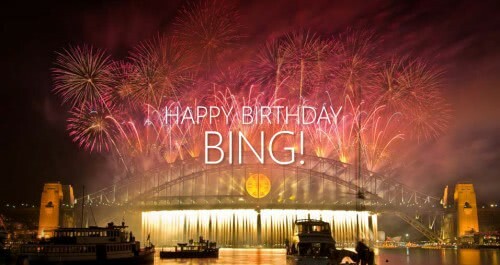 Microsoft's new search engine, Bing, is officially one year old today. The search engine formerly known as Live Search, Windows Live Search and MSN Search was officially unveiled by Microsoft CEO Steve Ballmer on the 28th May 2009 at the All Things Digital COnference in San Diego. The search engine went live on June 3rd that same year and in the last twelve months are risen up the search engine rankings at a very fast pace. Many people have switched to Bing because of the bright "photo of the day", a feature that Google have also today announced they will begin to allow, in a way, with their search engine. The giant of search has said in a surprise move that it will allow users to customise the Google.com homepage with photos from their own PC or from their Picassa library. Is that the Burrard Street Bridge in Vancouver? More and more there seems to be this push to “personalize” the online experience. you deserve? Customize!!! What’s more important? Functionality? Or your favorite colors? Frontline said it best, saw it coming in “Merchants of Cool”. Just when you think you’re unique, original, trendsetting, you find out you’re a commodity.